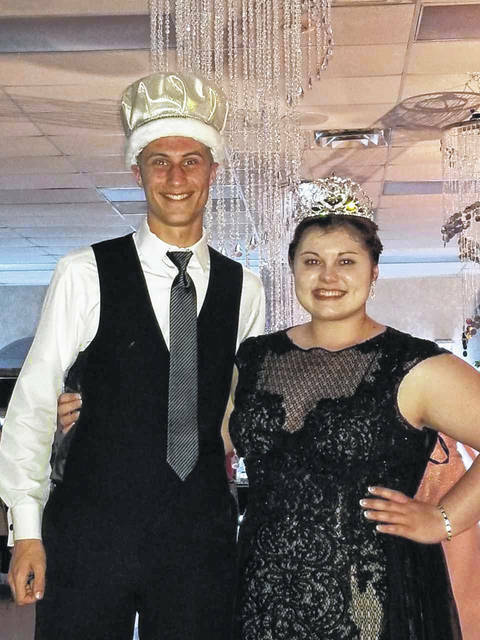 Ethan Knouff, son of Craig and Teresa Knouff, and Shelby Ayers, daughter of Amy Ayers and the late Scott Ayers, were crowned king and queen during Houston’s junior and senior prom on Saturday, April 6, at the Shelby Oaks Club. https://www.sidneydailynews.com/wp-content/uploads/sites/47/2019/04/web1_HoustonRoyalty.jpgEthan Knouff, son of Craig and Teresa Knouff, and Shelby Ayers, daughter of Amy Ayers and the late Scott Ayers, were crowned king and queen during Houston’s junior and senior prom on Saturday, April 6, at the Shelby Oaks Club. Courtesy photo.